Product information "352/354/355/357 Receptacle Style Collimators"
LigthPath's connectorized collimators are available with FC/PC, FC/APC or SMA fiber optic connectors. 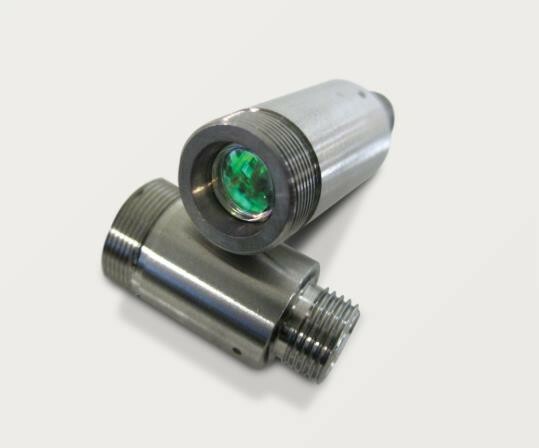 Each collimator is individually aligned and tested for the specified wavelength, and will offer excellent performance throughout the entire range of their AR coatings. Standard design assemblies are available for our most popular lens types, but any asphere in the catalog can be mounted into a custom assembly of your choice. Please contact us for more information. Related links to "352/354/355/357 Receptacle Style Collimators"
Customer evaluation for "352/354/355/357 Receptacle Style Collimators"